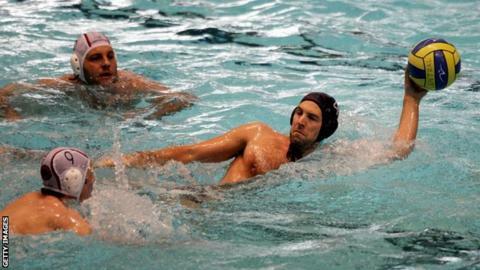 England's men and women both claimed gold at the Commonwealth Water Polo Championships in Aberdeen. The men's team won all their group matches before beating Malta 16-9 (5-1, 5-2, 4-3, 2-3) in the final. The women's team held off a comeback by Canada in the final to win 10-9 (3-3, 3-0, 3-2, 1-4). Scotland's men claimed bronze by beating South Africa 6-5 in a play-off, while Scotland's women lost 16-1 to South Africa in the bronze-medal match. Water polo is not included in this summer's Commonwealth Games in Glasgow. The sport was one of four to have its Olympic funding withdrawn by UK Sport for the Olympics in Rio in 2016 and Tokyo 2020.